You'll be £19.99 closer to your next £10.00 credit when you purchase Secret Duties of a Signals Interceptor. What's this? The Second World War upended many lives, disrupting patterns and routines and bringing an array of terrifying new dangers with it. For Jenny Nater, the war brought great sadness but also opportunity. Like many women left behind on the home front during the war, she found herself in an unforeseen scenario in which her talents could be put to an unexpected use. But her war was destined to play out almost entirely in secret. Jenny served as a bilingual wireless operator in the top-secret Special Duties service (Y) at Dover, intercepting traffic from German surface craft in the English Channel and reporting it back to Bletchley Park (X). 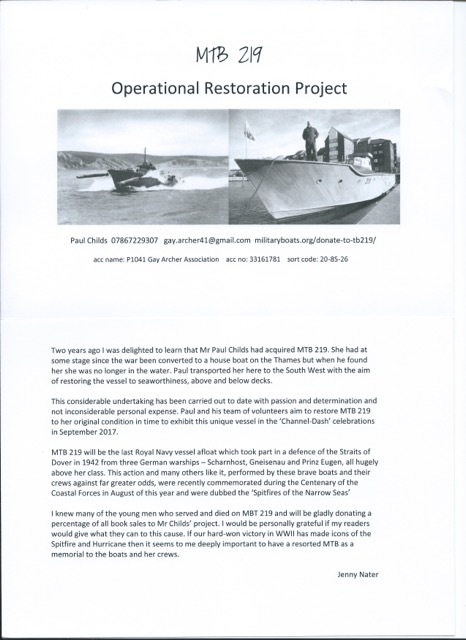 In this post she carried out important work for the war effort and also struck up a series of life-changing relationships, most notably with a Coastal Force Command Lieutenant, who was subsequently lost off the coast of Dover in tragic circumstances. The story of how their careers interrelated, both on land and at sea, makes for thrilling and poignant reading. The memoirs also cover her time spent working for the American intelligence agency, the Office of Strategic Services (OSS), in Germany. It was whilst serving in this post that she would meet her husband, an OSS Officer and member of the Caterpillar Club. His account of Mosquito missions over occupied Europe, tracing, identifying and communicating with special agents on the ground, is included here in full. These memoirs not only add an important layer to our understanding of allied intelligence practices conducted during this conflict, they also tell the story of one woman's very private war and the opportunities, sacrifices and victories it encompassed. The extraordinary life and work of Jenny Nater is laid bare in this brilliant set of memoirs - there are ladies still living who worked at Bletchley Park during the war, ladies whose duties during those years have never been revealed - I believe we are privileged to have Jenny's memoirs now to hand. Reads like a thriller in places... brilliant! covert parts of activity during WWII. The author has covered much more including details of RAF Mosquito squadrons and her later service for the OSS. Most Highly Recommended. 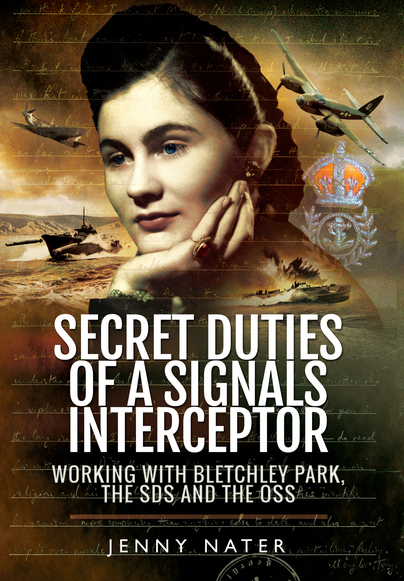 Jenny Nater served as a bilingual wireless operator in the top-secret Special Duties service (Y) at Dover during the Second World War, intercepting traffic from German surface craft in the English Channel and reporting it back to Bletchley Park (X). This is the story of her secret war in covert intelligence and the life changing relationships she formed whilst simultaneously aiding the allied war effort.